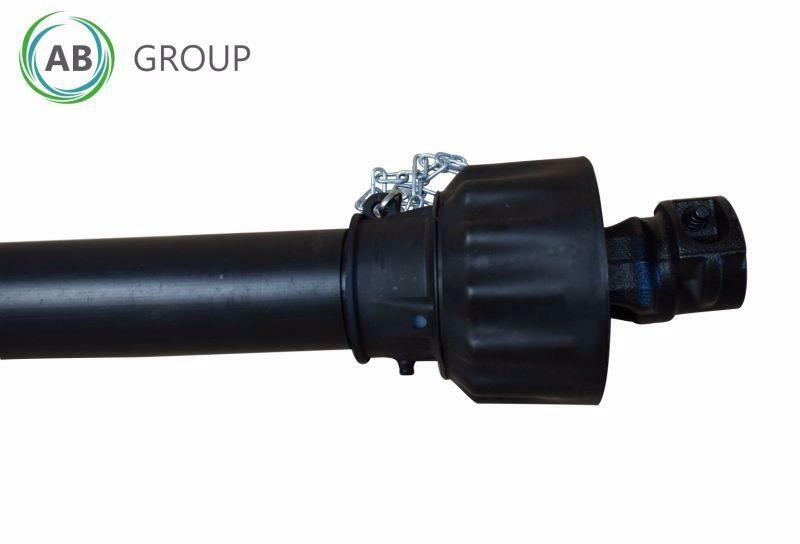 PTO shaft from Turkish company Gencsan Kardan. Triangular tube shaft with safety guard, 1290mm UJ center to UJ center, tractor side push pin yoke - machine side friction limiter 650Nm, 1 3-8", Z6 spline *** CAT. 4, torque 460Nm. In our offer we also have other types and width PTO shafts to other agricultural machinery.